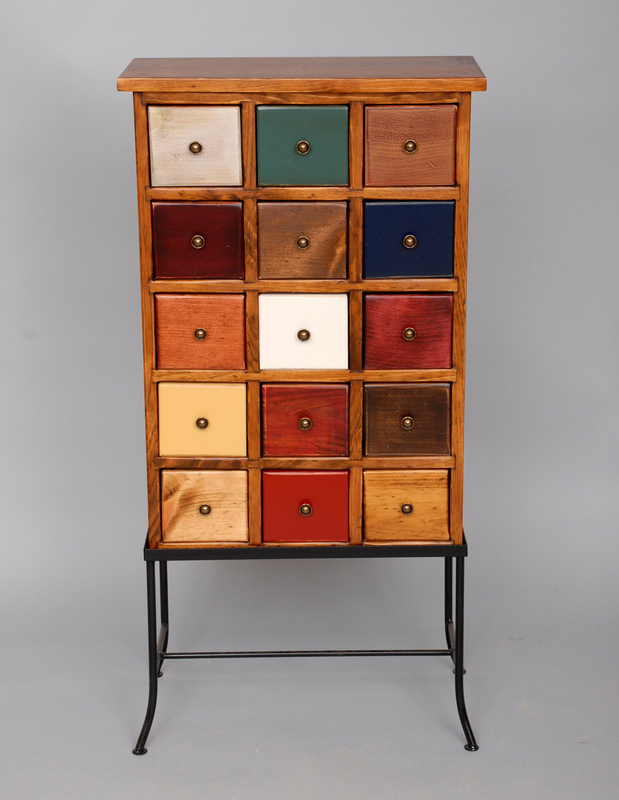 Bring coastal style to your room with the Fifteen Drawer Apothecary on Iron, featuring boldly painted and stained drawers. Ships from the manufacturer. Allow 6 to 8 weeks. Cannot express ship this beach style furniture. For even more options, we encourage you to take the occasion to look through our complete selection of beach style cabinets at Bella Coastal Decor now.